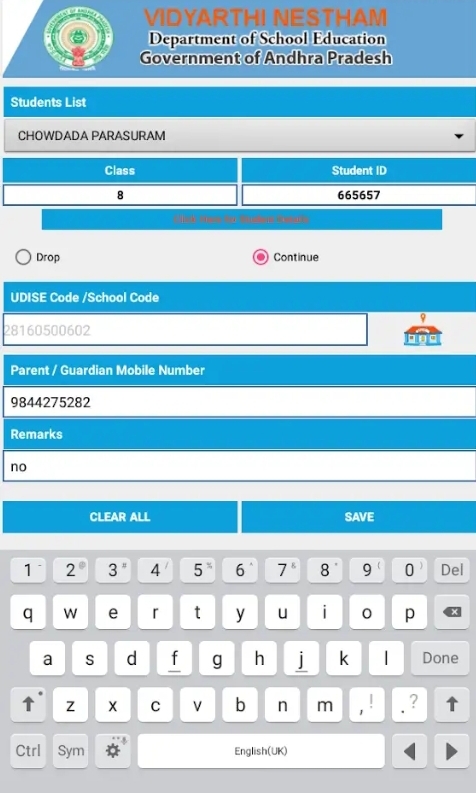 VIDYARTHI NESTHAM - This APP is designed to check the status of students whether they are ready to continue Education or not... Powered by APOnline. 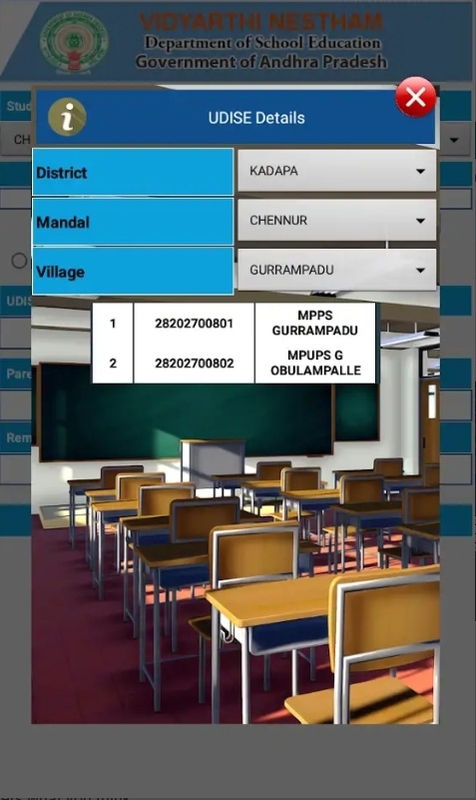 VIDYARTHI NESTHAM App is developed for department of school education,Govt. A.P. 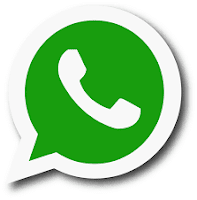 This APP is designed to check the status of students whether they are ready to continue Education or not... Powered by APOnline. First we login our treasury ID. 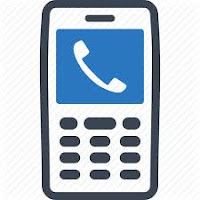 On that time we will receive OTP. 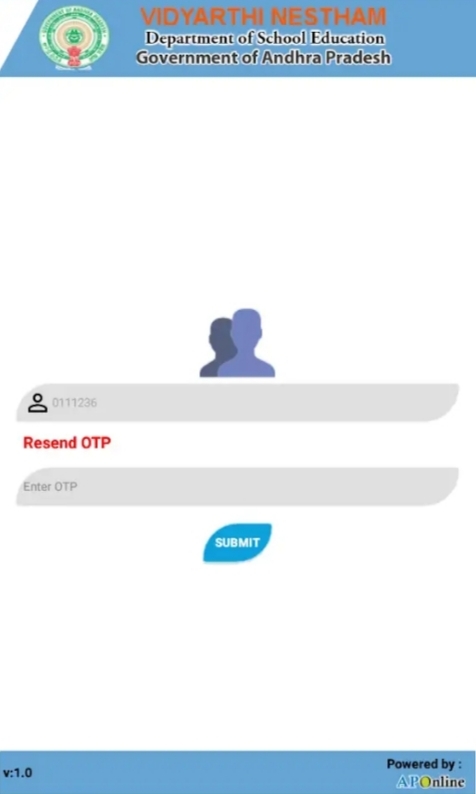 Enter OTP and press "Submit". 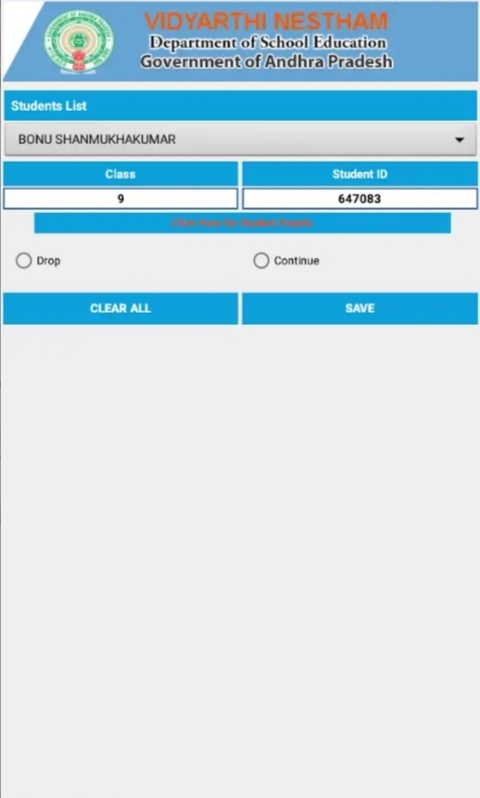 It will display the student details, like Name, Class, Child ID and it also display "Drop" & "Continue". If this student studying in ur school or in any other school then u can select "Continue" option. Next we should enter School Details of the student where actually he/she is studying. 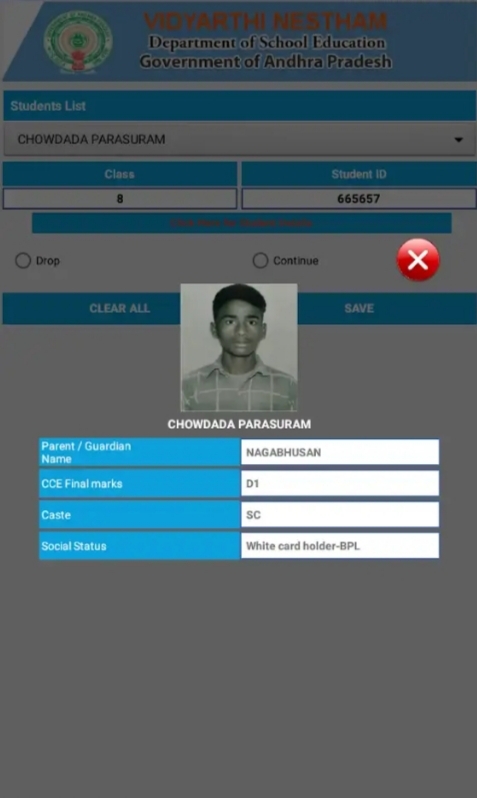 If the student is not studying in ur school, U can select "Drop" option. Then it will display the Reasons Like "Migration, Child Labour...etc.". Next enter the remarks and select the "save" option.